The episode was so much fun. I loved that everyone had a role and that the guys are literally the dumbest boys in school. Coach was, as usual, awesome. I like Coach Coach and the fact that he works with Jess, so he really has an understanding of her and how she operates. It’s nice that one of the guys has that ability. 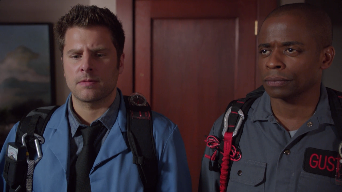 Nick, Schmidt, and Winston in the bathroom was awesome. It’s fun to see the three of them just being them. Which is the three of them being hilarious and stupid and mean to each other and just, all around, amazing. Like I said, it was a fun episode even though Jess and Nick are still suffering. They were able to touch upon that but still keep it light and focus on everyone. Just the way I like it. I know, I know- Tomorrow is Valentine’s Day. And I was going to make a post that would reflect this particular holiday. However, I am as single as it gets and decided that I didn’t want to look at a bunch of happy couples on my blog. I want to look at some awesome friendships that make me realize it doesn’t matter whether or not I have a man in my life. As long as I have someone I love, Friday is just another great start to a weekend. If you haven’t noticed, Rookie Blue is my favorite show. I actually had a tough time choosing between the rookies and Sam and Oliver, but the show is called Rookie Blue for a reason. Andy, Traci, Gail, Chris, and Dov are the original rookies and among the five of them, there are some amazing dynamics. Really, any combination of the five works. When the five are together, it works even better. I love these guys. I even love Nick Collins. He makes things a little complicated because he keeps sleeping with one of the originals, but when things are calm, the six of them mesh really well. Let’s hope season five brings some of that calm, huh? Rachel, Monica, Phoebe, Joey, Chandler, and Ross. 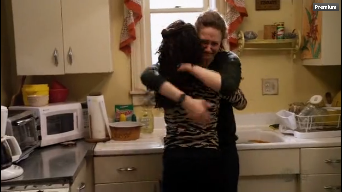 The best friendship in television history, if I do say so myself. Can I point out a specific scene? Good, because I was going to anyway. The six of them are in the living room, scattered around the coffee table when a knock sounds on the front door. 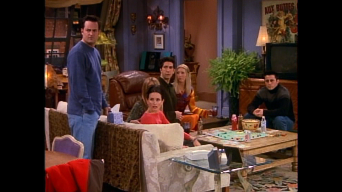 They look at each other’s faces, confused, as Phoebe counts the amount of people in the room. Who could possibly be knocking on the door when all six of them are already there? I love that scene! They get that it’s weird to just have the six of them and no other friends, but it works. Like, that’s all there is to it. 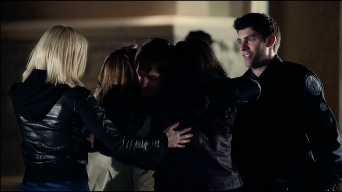 The six of them are friends, lifelong friends, that only need each other. These two are hilarious, right? They’ve been friends since, well, forever. There are all those flashbacks of the two of them growing up together only to bring it back to the present where they’re still hanging out, working together and being best friends. Gus is the ultimate sidekick and most of the time he doesn’t even mind it. 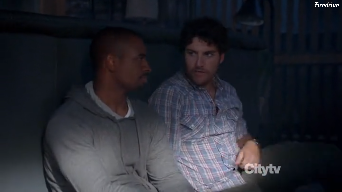 He’s there for Shawn because Shawn is his best friend and together they are saving Santa Barbara. They’ve been roommates for over ten years now (well, I guess not anymore) and they have definitely had their rough times. 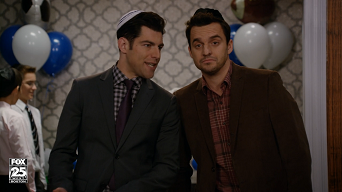 We all know Schmidt is kind of a douche, but we love him a whole lot, right? I mean, I know I do! And Nick Miller is a bit of a mess, but we also love him. Put ‘em together and they’re a couple of wild and crazy guys. Their Tinfinity was the epitome of Schmidt and Nick— Schmidt made sure that it was perfect and that everything was made out of tin. Nick’s whole life turned into a battle to get their party guests to use his used port-a-potty. And then the two of them fought before ultimately being there for each other. Because they are best friends. Don’t get me wrong, I love all of the roommates and I love them all together. However, it’s these two and their fights about cookies that make everything worth it. I know that a lot of people want to see these two end up together and maybe I do, too. But, for now, I am really loving the close knit friendship they’ve got going. Sherlock doesn’t open up much, but when he does it’s to Joan. And Joan was really confused about what she wanted out of her life up until she started as Sherlock’s sober companion. Now, the two of them are working together with the NYPD to solve crimes. Their chemistry is great and, yeah, maybe it will lead to something more one day, but where they’re at is pretty great, right? I could have done almost any combination of Ted, Marshall, Lily, Barney, and Robin. I’m not going to, though. 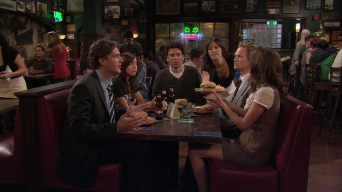 The five of them together, sitting around their usual table at MacLaren’s or in Ted and Marshall’s (originally) apartment. This last season has been a little tough for me, because I hated the division. I know it was mostly just Marshall on his own, but that’s hard enough. And, okay, there are relationship issues- Ted and Robin, anyone?- but friendship comes first. Plus, quotes from this show find their way into my daily vocabulary and that’s always a plus! Don’t even get me started on how much I miss this show! I could go on and on, but I won’t. As much as I love the entire, insane group, it’s Max and Brad that I miss the most. They made the least sense on paper- Brad was super successful, had a beautiful wife, and always dressed to impress. Max was broke as all hell, drove around a 1980’s limo to scam tourists, and regularly shared his bed with a pizza. Yet, Max and Brad were THE BEST. The dancing, the jokes, the unbreakable bond- the two of them rocked Chicago. I wanted to end this list on some of my favorite girl friends. First, I’m focusing on Rory Gilmore and Lane Kim from my beloved Gilmore Girls. They bonded over music- the more obscure, the better. Rory and Lorelai’s house was Lane’s home away from home, a home where she could be who she wanted to be. For the majority of their lives, they only had each other and, yeah, eventually they got other friends and boyfriends, but they always remained best friends. For a long, long time Penny was the only girl in a group of super nerdy guys. And it worked, it really did. Things really rounded out, though, when Bernadette and then Amy fell in love with a couple of those nerds. Penny finally had a couple of girls to chat with. She no longer had to split her time between the longing looks from Leonard and the more than confusing talks with Sheldon. 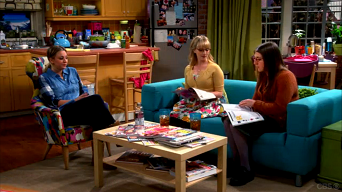 Sure, Amy can be a little strange in her own right, but she’s there for Penny and Bernadette. Just like they’re there for her. Fiona Gallagher does not have a simple life. She never has and, by the looks of it, she never will. But she does have some pretty great friends in her neighbors, Veronica a Kevin. Especially Veronica. Fiona had to be an adult WAY too soon. She basically started raising her siblings at the age of six and when the show started, she was a 21 year old taking care of her five siblings. Right away, we found out that Veronica was her only escape from the mess that was her family. When she didn’t have to make breakfast and change diapers, she spent her time at clubs with Veronica- dancing or working, at least they had each other. Now, don’t get me wrong, I could have done a list of my top 50 ships of all time. Maybe I will one day! Also, if you’re in love, great! But, you’ve all still got friends, right? And they’re there for you no matter what, right? So, I wanted to focus on some fictional friendships to reflect that. I’m most likely spending tomorrow night with a friend or two because when you’re single, you’ve got to stick together!